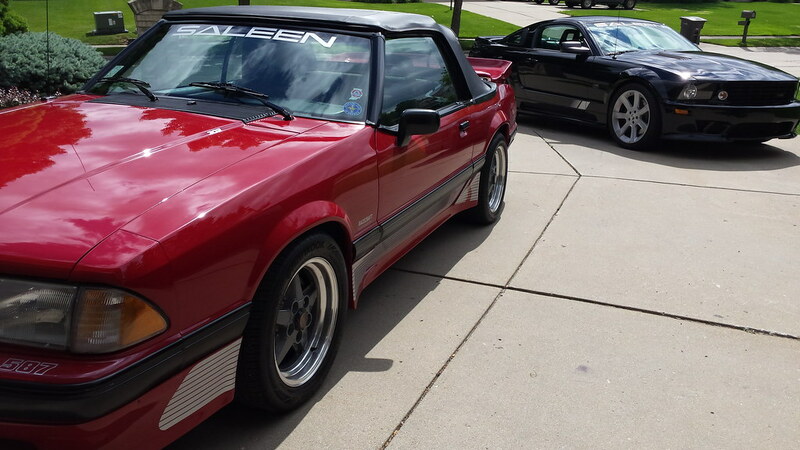 hey guys , excited to own a saleen convertible and about this cool site ! this car is very decent , not a garage queen by any means but a pretty decent daily driver that was my holy grail back in 89' , pleasure to have found a site with so many awesome cars ! Congratulations on your new purchase and welcome to the forum! Looks like a super convertible to enjoy and make memories with. Welcome...looks like we're twins on the outside! Although, 89-0587 will be getting a new dress (paint job) and hat (top, weatherstrips, well liners, etc) this winter. Was just reminiscing about 89-0587 this morning and something just hit me. This thread is titled "Proud New Owner: 89-0587 convertible" and was posted in Sept 2015. I even posted in this thread. My only question is, how could gmspnkr be the proud new owner of 89-0587 in California in Sept 2015, when I owned the car in Indiana at that time? I didn't sell the car until July 2016 and then it went to Ohio.